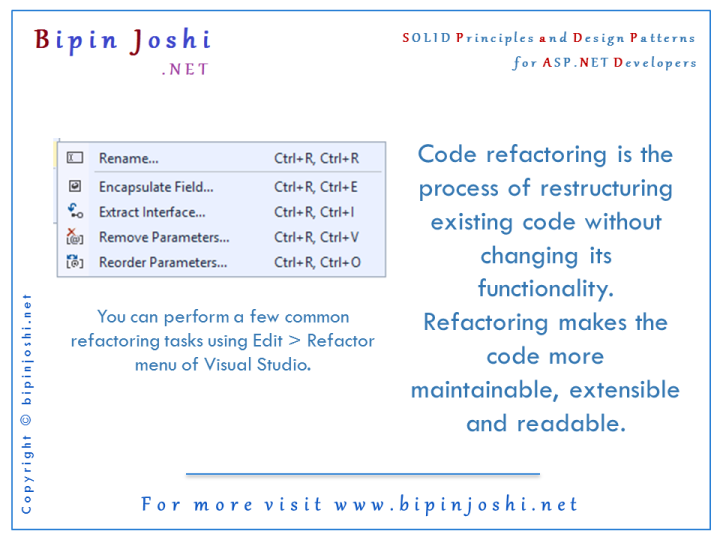 Code refactoring is the process of restructuring existing code without changing its functionality. Refactoring makes the code more maintainable, extensible and readable. You can perform a few common refactoring tasks using Edit > Refactor menu of Visual Studio.